I grew up in Southern California, the land of donuts. Seriously, one of the first things Billy said when I brought him home was, "what's with all of the donut shops?" In LA proper there are at least 842 shops and most of the major chains aren't represented. When a big player does show up, they feel like sad substitutes for any one of the local stands. I spent half of my college calories eating Stan's Donuts in Westwood (if you went at midnight you could get a bag for $5.00) and lived to tell about it. 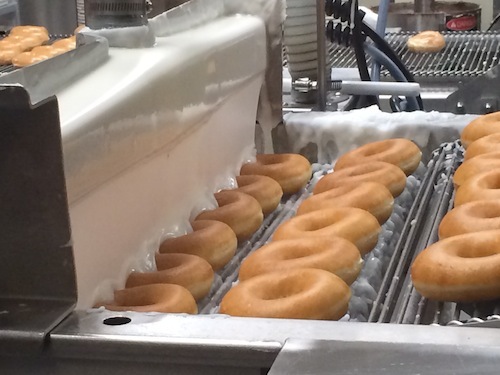 If you live in the South, the epicenter of donuts is Krispy Kreme. People are fanatics about these glazed babies. As a hostess, if you want to have a happy crowd at your brunch, serve these bad boys and you'll have a satisfied bunch. Even the Creative Loafing Best Dish List calls the glazed donut a top 100 dish.I don't get it. I don't like Krispy Kreme donuts even a little. I do, however, worry about losing all of my credibility with my friends. Trust me, this is not a popular opinion. Blame it on my California roots or some crazy taste buds, I simply find the glaze far too sweet and the dough kinda meh. If you're in Atlanta, you'd be better off heading downtown to Sublime Donuts, a legit local spot where eating these kind of calories is worth it. I have yet to hit Revolution in Decatur, but I hear they have awesome donuts too. The only thing that's definitely true - it's easier to find great BBQ than great donuts in Atlanta. 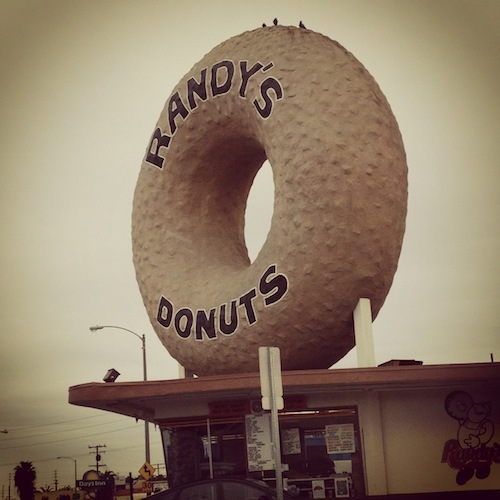 And next time you're in LA, swing by Randy's Donuts (or one of the gazillion other shops) to see what I mean! What is your biggest decision today?